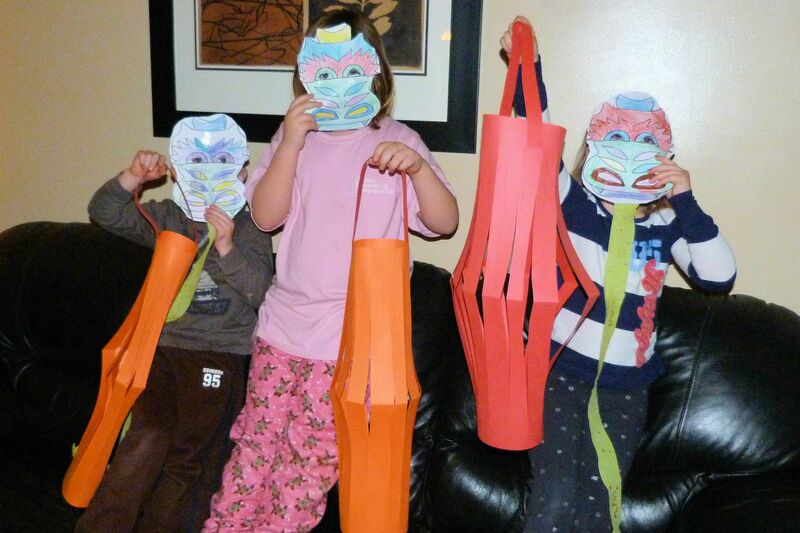 Tonight we celebrated Chinese New Year in our home, our family loves to explore other cultures and celebrations. According to the Chinese Zodiac, the Dragon is a creature of myth, legend and much power. Today, it signifies success and happiness. We invited some friends over and researched crafts and I found a recipe on the VH Sauce Facebook Page. The children colored pages I printed off the internet, made lanterns, created masks and held a wonderful parade for us. 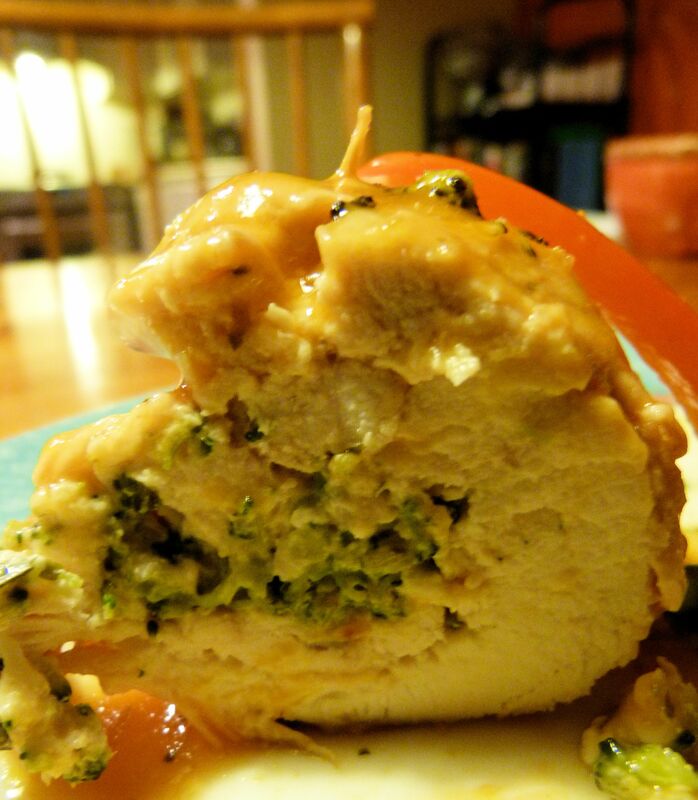 For dinner I made Chicken Stuffed with Broccoli and Goat’s Cheese with a modification. 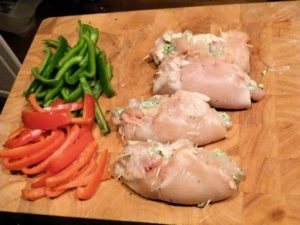 Place 1 chicken breast between 2 large pieces of plastic wrap, carefully pound chicken breast with the flat side of a meat tenderizer or rolling pin. 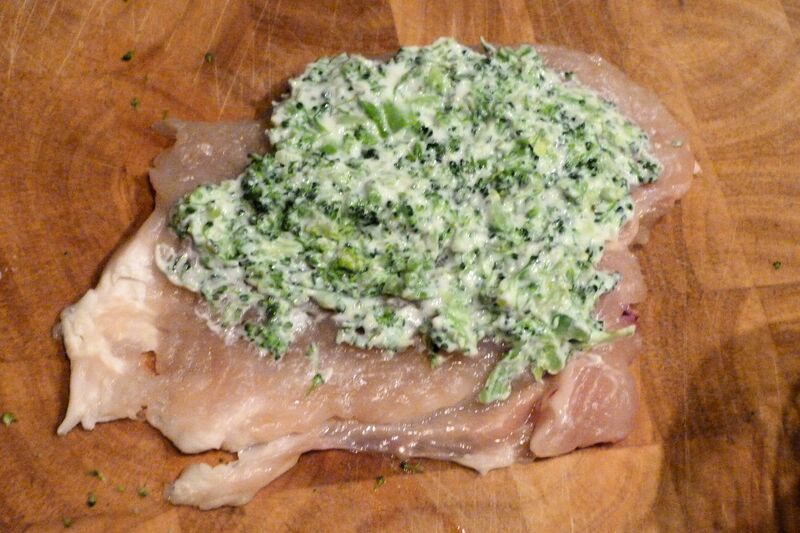 Flatten breast to a thickness of ½ com (1/4 inch), taking care not to tear the chicken. Repeat with remaining chicken breasts. 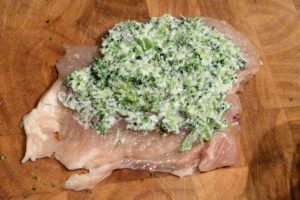 Place ¼ of the cheese mixture at the base of the first piece of chicken, carefully roll the meat over the cheese, tucking in the sides to enclose the cheese. Use 2-3 toothpicks to secure. Repeat with remaining 3 breasts. 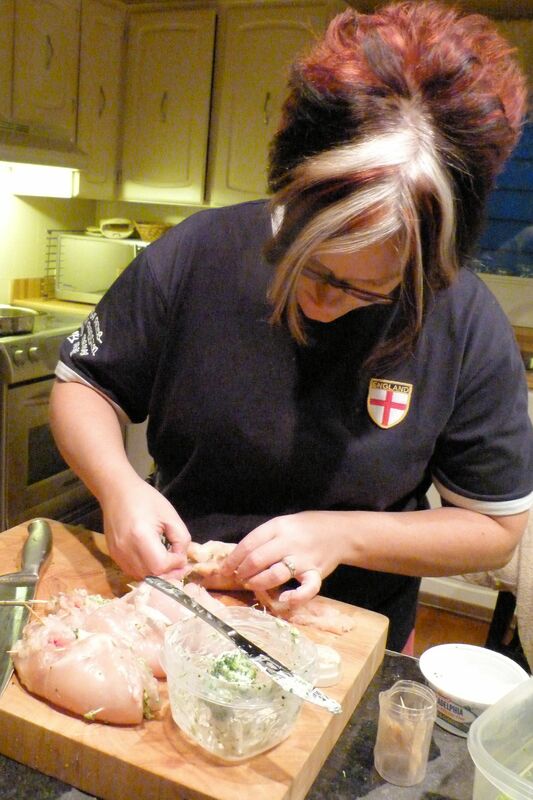 Believe me when I tell you it’s not easy to roll the chicken, just make sure you have it 1/4″ thick. In a large sauté pan heat oil over medium-high, brown chicken on all sides, about 7 minutes. 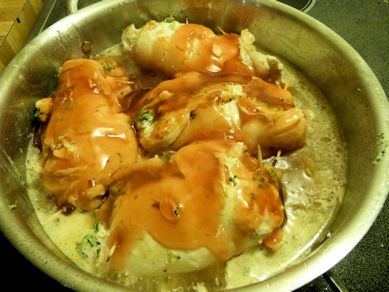 Add VH® Sweet & Sour Sauce to the pan along with ¼ cup (60 mL) water. 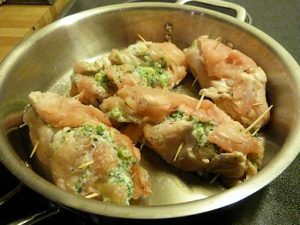 Cover and simmer until chicken is cooked through, about 12 minutes. 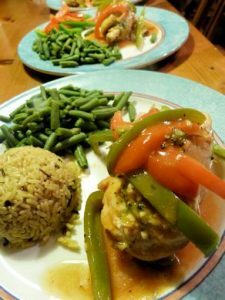 Once again we were impressed with a VH Sauce Recipe, if you’re looking for a delicious, healthy dinner for your family head on over to their website and check out more. 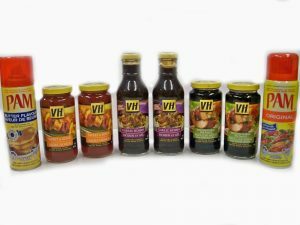 In honor of Chinese New Year, VH Sauce has provided me with a prize pack for one lucky Canadian reader! Enter by filling out the Rafflecopter Form below, give it a minute to load. Winner will be drawn on Jan.31. I’d like to try the sweet and sour as well. The Sweet & Sour sauce! The sweet and sour sounds yummy! I’d love to try the Orange Ginger Stir-Fry sauce. I would like to try the Sweet & Sour Stir Fry Sauce. I want to try the Pad Thai! I’d like to try the VH Sweet & Sour Stir Fry Sauce. 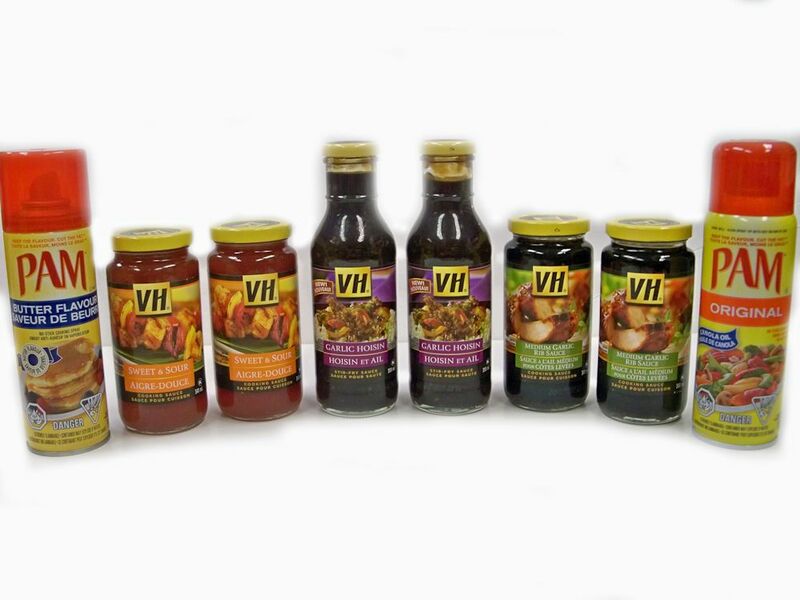 I’m fairly certain we’ve tried all the VH sauces… but today I would love to try the Orange Ginger again :) Yum. would like to try the Szechwan stir fry sauce. sounds tasty. Dinner was awesome! Thanks for the invite. I love the plum, garlic and sweet and sour. I am up to try any of the others! I would like to try the Orange Ginger Stir-Fry sauce! I would like to try the Garlic Hoisin sauce. I love the honey garlic its great on chicken or pork, I would love to try the sweet and sour. I would love to try the teriayki sauce! I would like to try the Orange Ginger Stir fry Sauce. I would like to try the Garlic Hoisin. We love the plum sauce already. I would like to try the orange stir fry sauce as I have tried most of the other VH sauces. I’d like to try the Pineapple Sauce – I haven’t been able to find it yet but can’t wait when I do! I like to try the garlic hoisin stir-fry sauce. I like to try the Orange Ginger Stir-Fry sauce. I would like to try the teriyaki stir fry sauce.